Nature Tours, Birds hide photography tours and workshops in Bulgaria. Different birds in different locations. Full board trip for 10 days (9 nights). Includes: accommodation, use of hides, local transport, guiding, meals, transfer from/to airport. We manage several photo-hides in different parts of Bulgaria, suitable for various bird species, with different light conditions and background landscapes. In Southeast Bulgaria (Eastern Rhodope mountains) we have two hides designed for raptors, vultures and golden eagle. 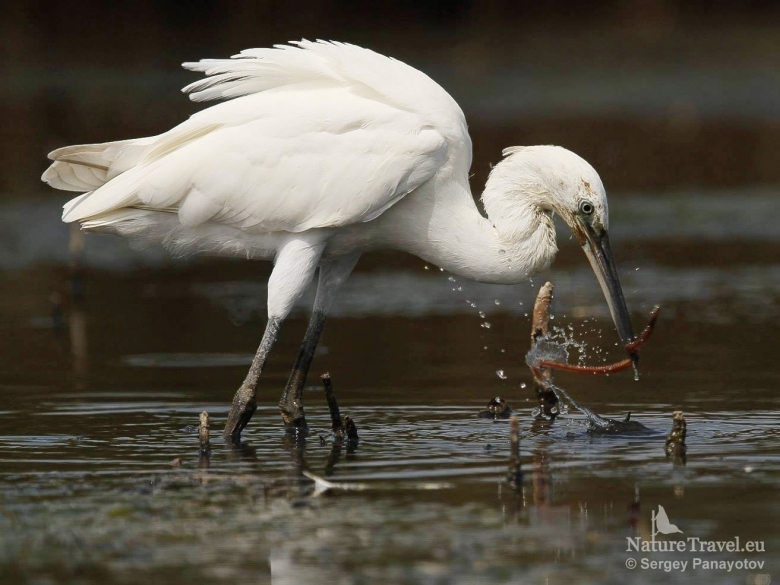 Another hide in SE Bulgaria is designed for wetland birds such as herons, ibises, ducks, waders and many others. 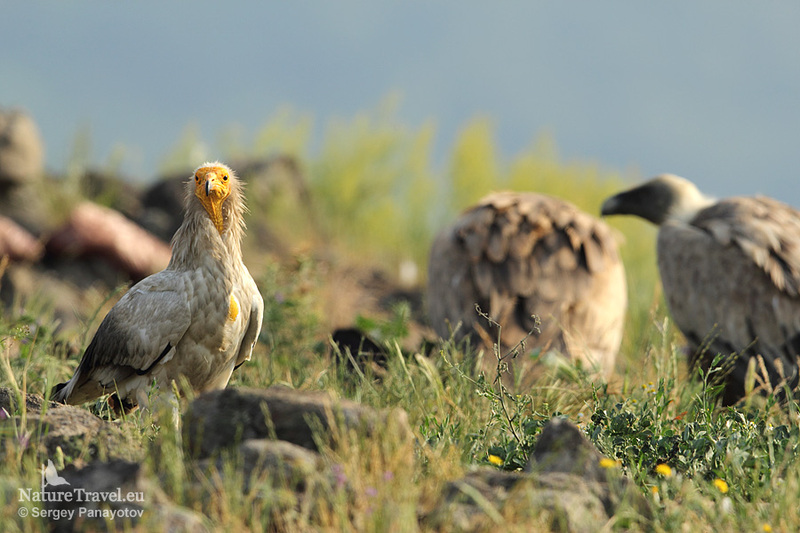 More photos from the Vulture hide and from the Wetland hide. 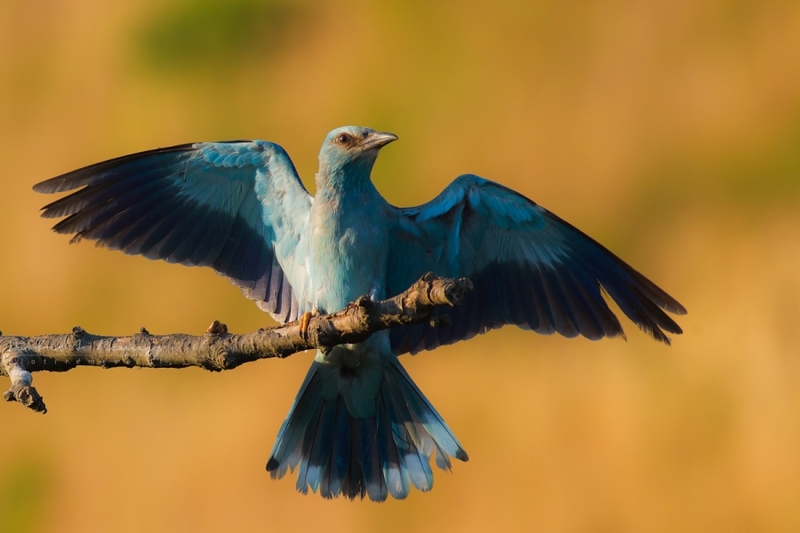 In northeastern Bulgaria we have three hides for rollers and bee-eaters, and one forest hide for woodpeckers, where common visitors are also forest small passerines, hawfinches and turtle doves. Most interesting and special is the photo tower hide, located in the backyard of our own cottage. The tower hide is most suitable for interesting birds like golden orioles, middle-spotted and syrian woodpeckers, black headed and ortolan buntings, other songbirds, turtle doves and many others. More photos from the Tower hide, Roller hide and Bee-eater hide. If you choose this tour, you are guaranteed that within 7-10 days you will see more than 30 species in different locations, different lighting conditions, with different background and surroundings. Day 1: Transfer from the airport to hides located in Madzharovo, Eastern Rhodope mountains. It will take about 3-5 hours depending on the arrival airport. Short walk in the area around the hotel, dinner and then brief instructions on how to photograph birds, how to behave inside the hide and some little tricks for better images. 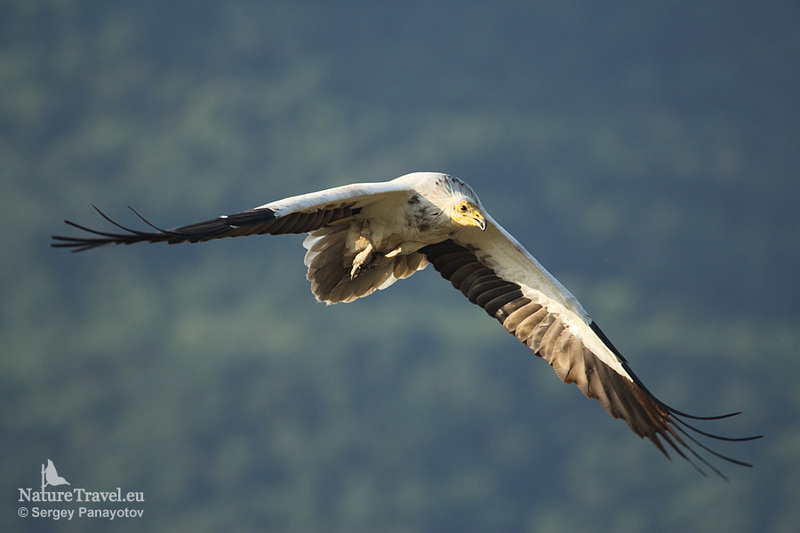 We will sleep in the BSPB (Bulgarian Society for Protection of Birds) visitor center, which has en suite rooms with perfect view of the surrounding landscape, vulture rocks and Arda river. Day 4: Normal time wake up, breakfast and discussions about the photography days at the raptor hide. Transfer to Poda lagoon and wetland bird hide, check in and lunch. Short rest or a stroll around Poda protected site and an afternoon session at the wetland hide. Day 5, 6: Two full days of photographing wetland birds. We spend the whole day in the hide. Our new hide is very spacious and comfortable, with high regulated chairs, a toilet, electricity, etc. Excellent opportunities for low-angle photography, which is most important for clean background over the water. Photographs are taken through one-way mirror windows, which guarantees invisibility of the photographers. In the late afternoon of the second day we transfer to Suha reka region (NE Bulgaria) for rollers, bee-eaters and other passerines bird photography. Day 7 to 9: Full days of bird photography. Early morning wake-ups, short breakfasts and positioning in the photo tower before sunrise. 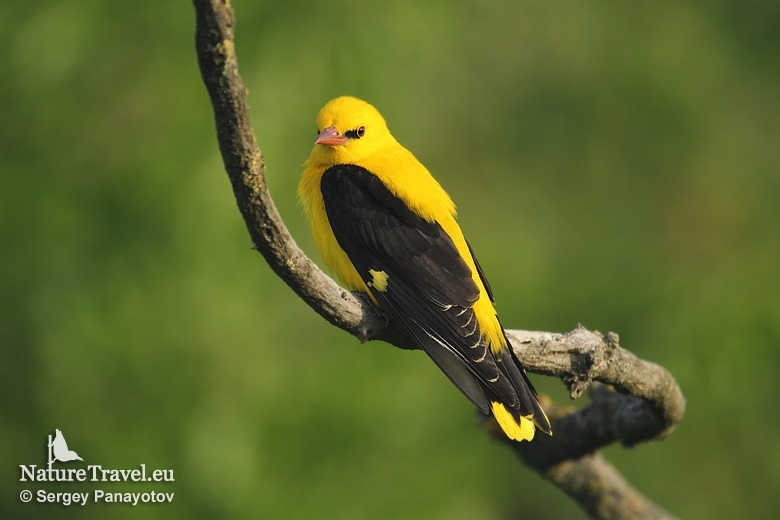 The golden orioles are most active just after sunrise, so we should be in the hide before that. Also, the light conditions are perfect in the morning. Other specialties from the photo tower are syrian, green, grey-headed and middle-spotted woodpeckers, black-headed and ortolan buntings, turtle doves, cuckoo and many other small passerines. After the morning photography session we will have time for relaxation and lunch. After lunch, we will transfer to the other hides suitable for rollers and bee-eaters. These colorful and attractive birds are also very interesting for flight and landing shots. Especially in May, just after their return from migration, when they perform mating games near the colonies. You can often photograph them on the branches in front of the hide, when the male feeds the female insects, butterflies or grasshoppers. If you already have the perfect shots, we can go to the surrounding valleys and wait for sousliks, woodchat and red-backed shrikes or isabelline wheatear.